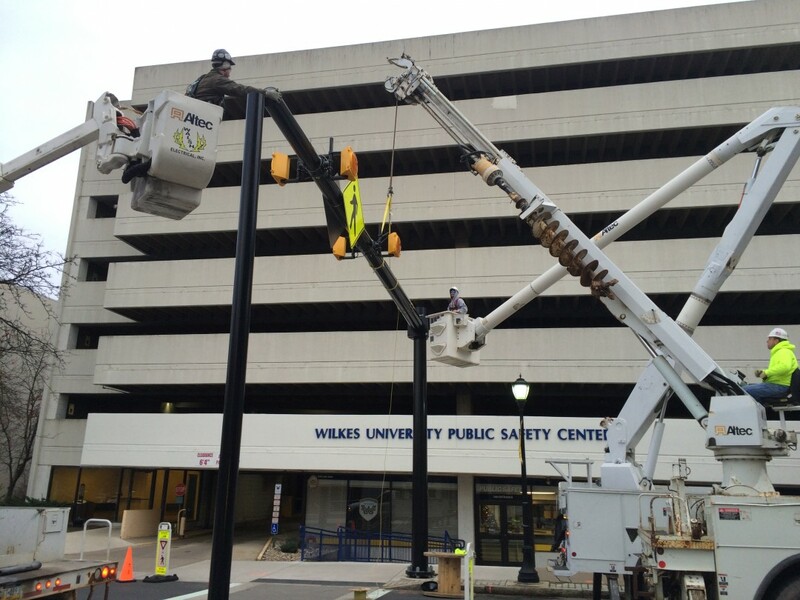 Wilkes University Gateway – which joins the heart of campus with South Main Street is a $1million dollar renovation project. Ground was broken for the Gateway in April 2015. 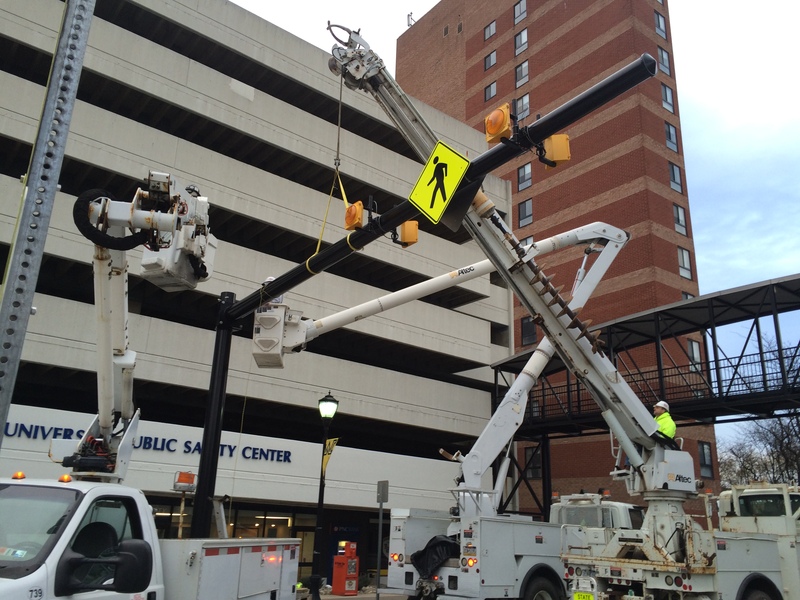 The project includes a 14-foot-wide, well-lit pedestrian walkway between the University Center on Main and 141 S. Main St. 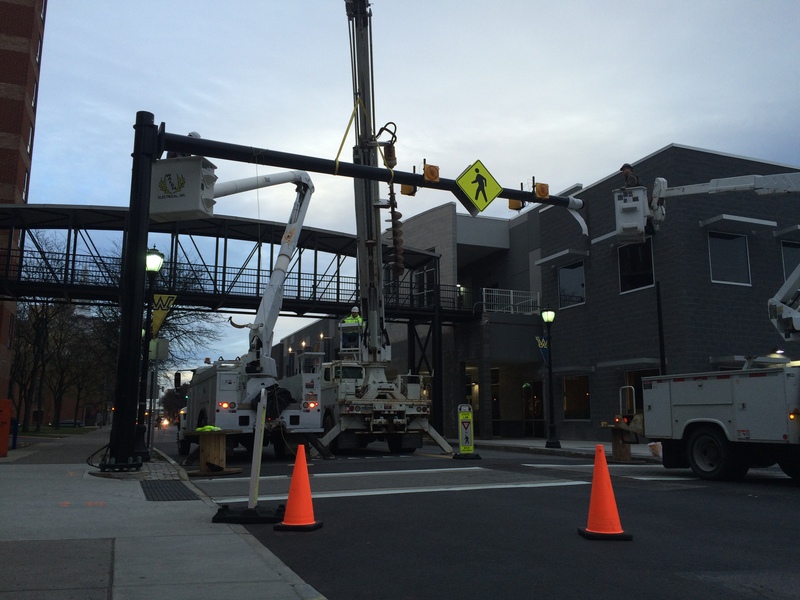 The walkway extends across South Franklin St. into the center of the University’s Fenner Quadrangle. 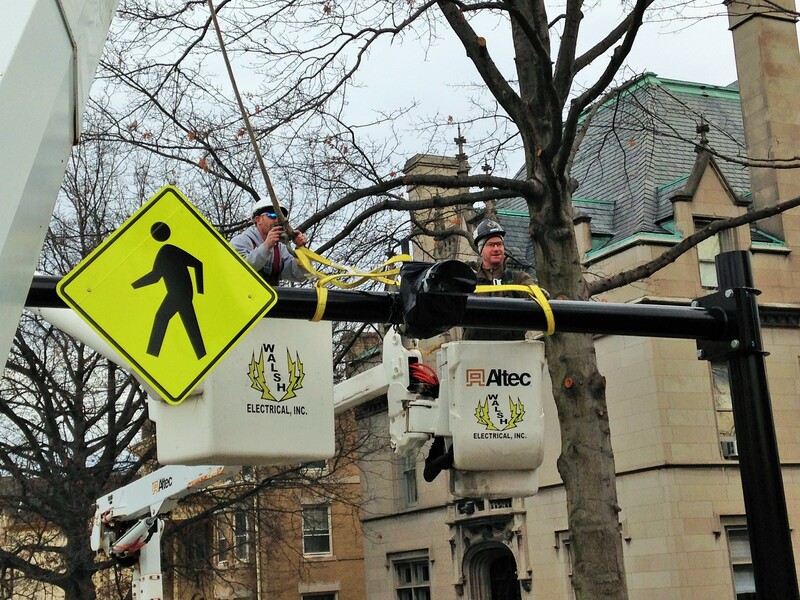 It includes 11 new LED streetlights, bicycle racks, benches and a decorative clock. 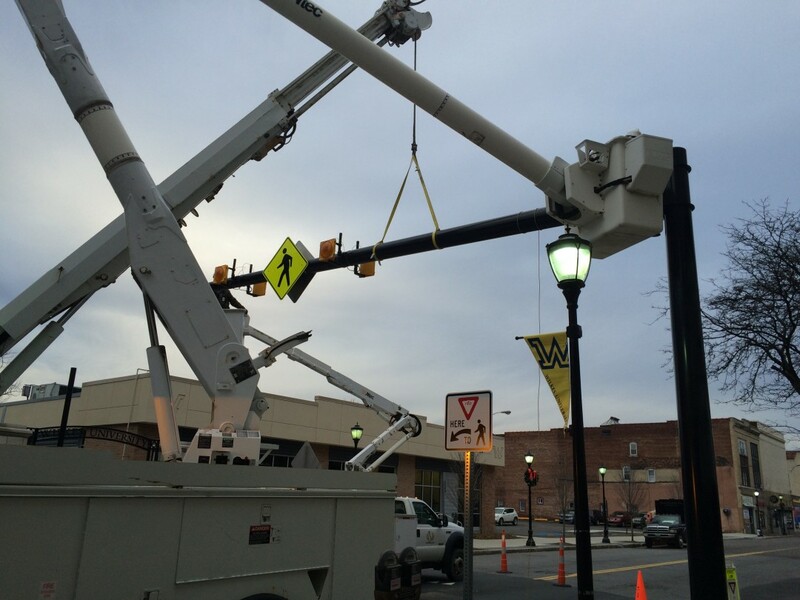 A raised pedestrian walkway with a yellow traffic signal was created across South Main Street at the University Public Safety Offices and park cade. A second raised pedestrian walkway with yellow traffic light was created mid-block on South Franklin Street between South and Northampton streets. 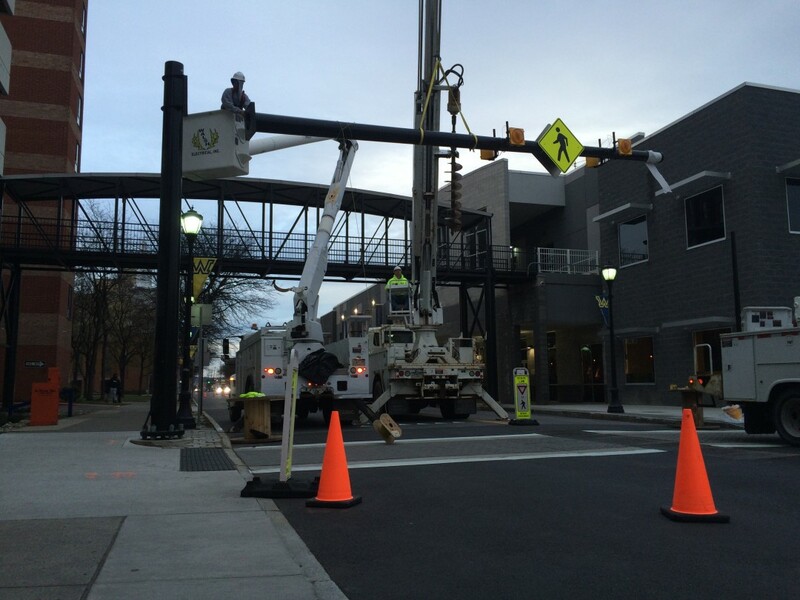 Lights were installed on the gateway. Project Manager: Sordoni Construction Management.